First, please look at the image attached to this post. See the picture on the Swans Down flour box? It shows a chocolate cake. Second, I am not Betty baker. Though I can bake, I rarely bake and my baking supplies are minimal to nonexistent. And third, I am not good at math. Although it is not required to have math skills when baking, the ability to add is helpful. Pound cakes are both my husband’s and his Dad’s favorite cake. I am baking a pound cake today, for a family gathering tomorrow. Today marks the fourth time I have baked a pound cake. The first time I made the pound cake, I started crying at the grocery store. Again, note the picture. The cake in the picture is chocolate. Generally speaking, pound cakes are not chocolate. My mother-in-law specifically stated I needed to buy Swans Down cake flour. 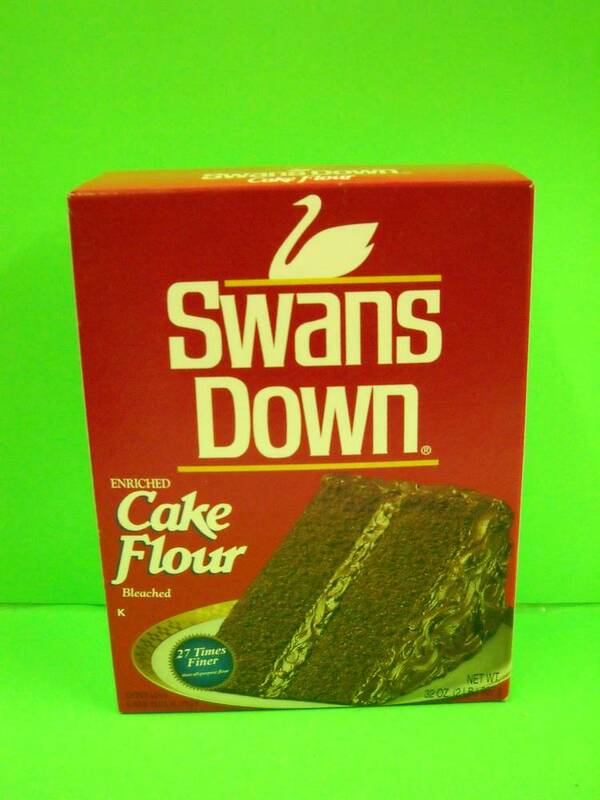 The only Swans Down cake flour I saw had a chocolate cake on the front of the box. Cue the tears and panic. Rest assured, I have cake baking experience now. I am no longer intimidated by the chocolate cake on the front of the Swans Down cake flour box. Unfortunately, my mother-in-law enjoys bringing up the fact that I was traumatized when I bought my first box. Thankfully, she’s a Southern lady, so she sounds nice when she is mocking me. So, today I gathered my supplies to bake the cake including butter, cream cheese, sugar, eggs, flour and vanilla. Now I was ready to gather the instruments needed to measure, mix and bake. I don’t own a mixing bowl. Yes, I do have a stainless steel Farberware bowl (three different sizes), but those bowls are not big enough for cake mixes. And, the only mixer I own is a 3-speed hand mixer, so it’s not like I can use the mixing bowl that comes with a stand mixer. After looking around in various cabinets for something I knew did not exist in my house, I decided to use the crock-pot. Next, I needed to locate a measuring cup. According to my mother-in-law’s directions, I needed to put the ingredients in slowly and a half a cup at a time. Ok. No problem. I’ll just pull out my half cup measuring cup. Hmmm …. yeah. Where is that measuring cup? Maybe it is this measuring cup that doesn’t have a handle. It fits in the one cup measuring cup, and the one third and one quarter measuring cup fit in it. Yes, I will assume this measuring cup with no handle or markings is a half cup measuring cup. As I started mixing the ingredients, again following the advice of my mother-in-law, I was putting in the ingredients a half a cup at a time. I take you back to the fact that having math skills, which I don’t possess, is a nice plus, when baking. One needs to remember that 3 cups becomes 6 when using half cups. And, when one is talking to his or herself while using what they assume is a half-cup measuring cup, well – it is easy to get flustered. I second guessed myself so many times, when mixing the ingredients. “Wait – was that a full cup, or was that the third half cup I just dumped in the bowl?” And remember, I am using a hand mixer, so I have to stop it every time I dump in the ingredients, which – for my small and math-challenged brain – flusters me even more when trying to keep count. As a pastry instructor, my only advice is to measure out your ingredients before you start adding them…even if you need to add them 1/2 cup at a time! At least that way you won’t lose count! Oh, and math skills are a necessity! Sorry to say, but it’s true! Lordy lordy Lenore! You made me grin…and shake my head. Crazy girl – first thing tomorrow, get yourself a proper mixing bowl and proper measuring cups! Especially for baking. Cooking you can wing, baking – not so much, especially from scratch! And I can just see your meltdown in Publix over a chocolate cake on the box of cake flour. You need some John Denver to get you over that!